Do you ever find yourself admiring another person for the appearance of their teeth? This isn’t uncommon. In fact, surveys indicate that about 80% of Americans are so in awe of other people’s smiles that they wish they could make changes to their own. It’s nice to appreciate beauty in others. At the same time, wouldn’t it be really nice to be impressed by your own smile? 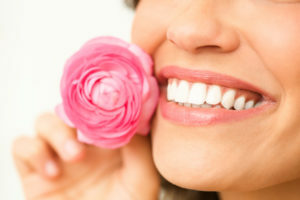 Is Whitening What is Really Needed? People who inquire about professional teeth whitening know that they want a brighter smile. This is a good start. But while looking at discoloration, it is also advantageous to observe other characteristics that may cause concern. You may not even have to look in the mirror to know the answer to this question. Some people don’t just want a brighter smile, though. In some cases, there is a desire for a tooth to be repaired or a gap to be closed. When multiple characteristics could use some attention, teeth whitening treatment may provide only a small amount of satisfaction. If you have more than one flaw that you’d like to eliminate, consider how porcelain veneers can meet your needs. Is Whitening Really What is Needed? Did we just repeat ourselves? Only a little, and for good reason. It is important to ask (again) if whitening is really what is needed but in a different context. Just like whitening can’t fix additional issues like chips or gaps, whitening also can’t correct every form of discoloration. Your dentist may observe that your teeth are discolored because your enamel is naturally very thin or has eroded over time. Discoloration that is related to thin enamel needs to be covered, not lightened. This is because the pigment on teeth comes from underlying dentin showing through enamel. Thin enamel and internal stains may not whiten, but these concerns can be corrected. Once again, porcelain veneers come to the rescue. We love helping our patients reach the smile aesthetic they have always wanted. Contact an office near you to learn more about our cosmetic dental services.